On the heels of Julia Child’s 100th birthday last week, I’ve been in love all over again with pearls. They are ALWAYS my first choice, the thing I gravitate towards in the case. And so, it should come as NO surprise that I loved the cake the instant I saw it. It’s just so perfect. 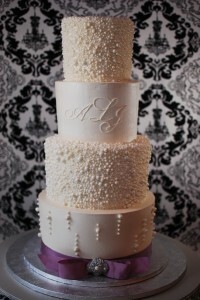 And there’s something about that many sugar pearls on a cake that seems so, well, elegantly decadent. 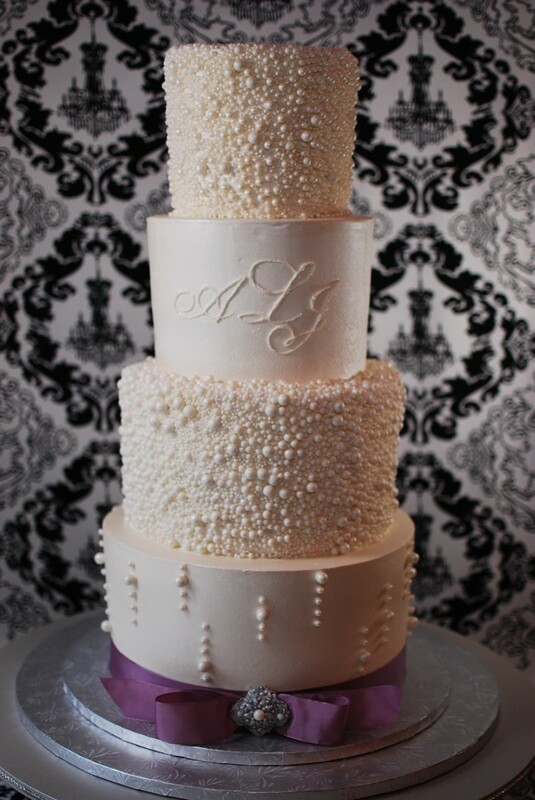 That Jenniffer from Cup a Dee Cakes paired the pearls with a white on white script monogram is almost more perfection than I can bear. At this rate, I’m going to need a wedding every year of my life to have all my “No, THIS is my favorite cake” cakes. ‘Cause this one just totally made the list. What about you? Has this one leapt to the Number One spot? Let me know in comments!